How have you been? I've been alright just a bit stressed out, to be honest. My mom has been going through some health issues so a lot of things including my blog got pushed on the back burner. 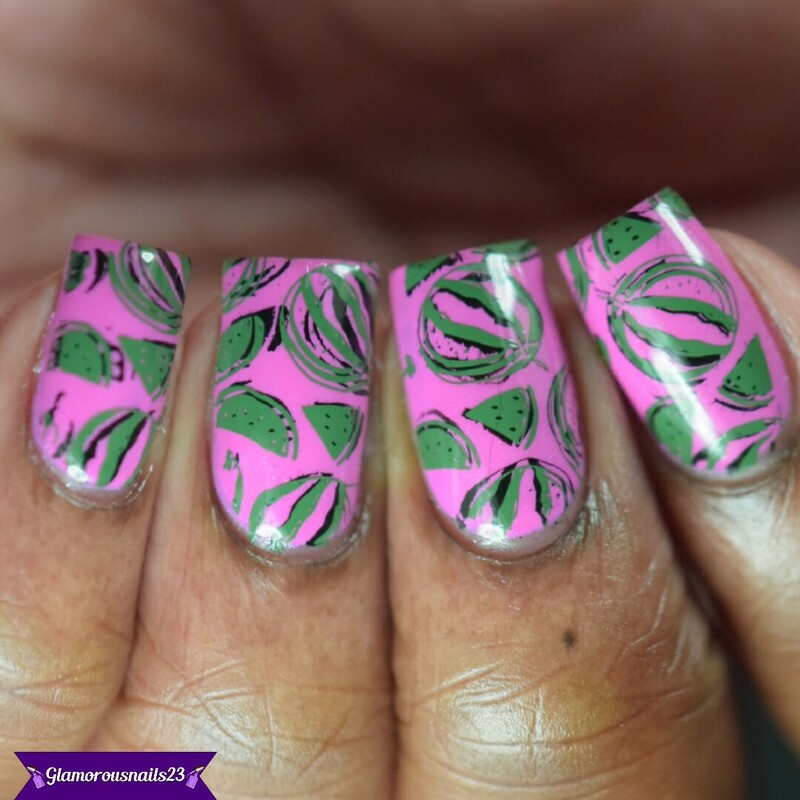 Anyway today I have a fun double stamping mani to share! Let's get started! Here's a look at the plate that was sent to me. Seeing as spring is (somewhat) here I opted to use the watermelon image. 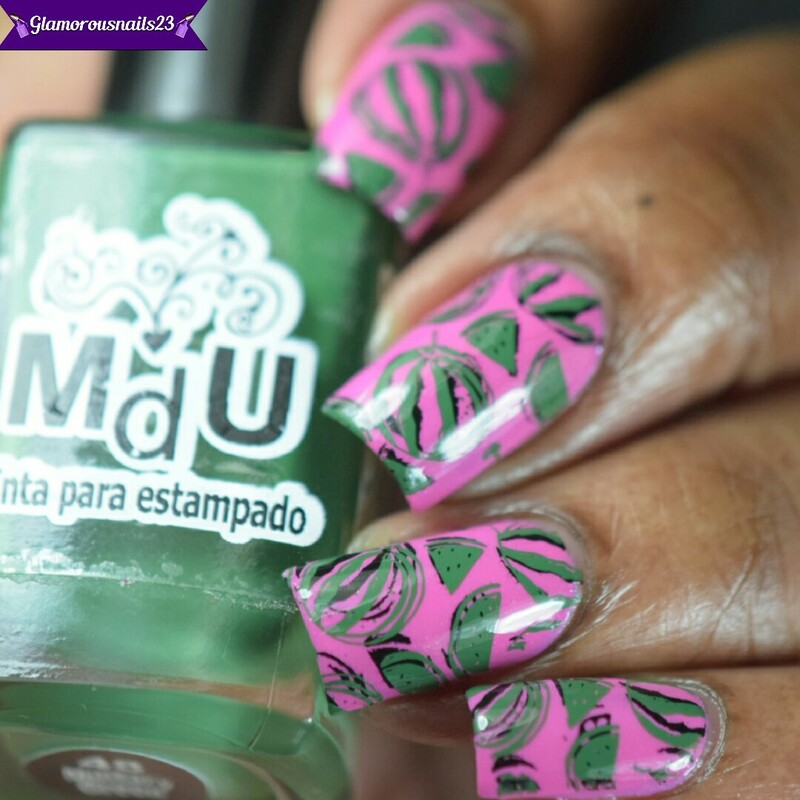 I initially was going to just use the black stamping polish but then at the last minute decided to go in and stamp again using the green. 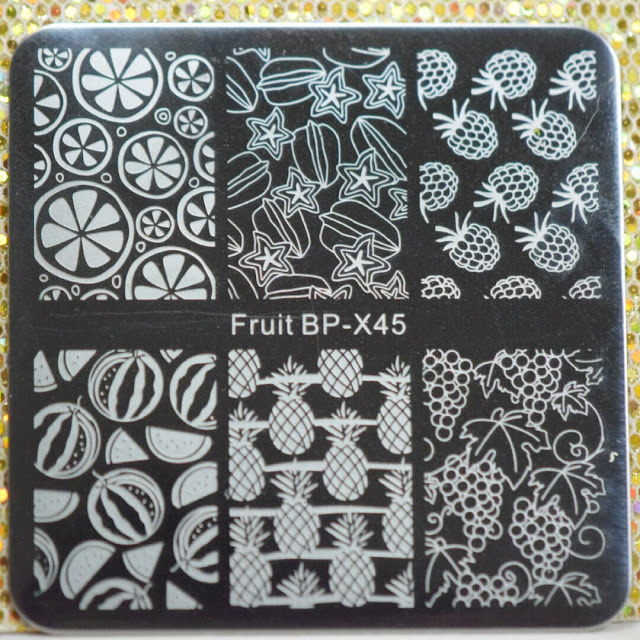 BP-X45 stamping plate did come with a blue protective film and has 6 individual large sized images. I found this plate to be very well etched and had no issues picking up the image or transferring it onto my nails. TUTORIAL! !⤡⤡ Please don't forget to thumbs up & subscribe on YouTube!